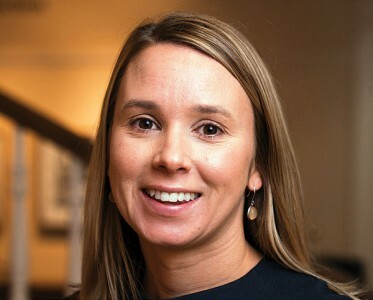 OWU alumna Natalie Milburn Doan, J.D., ’03 was named vice president for university advancement Nov. 15, a role she has filled on an interim basis since June. She will oversee the University’s alumni relations, advancement, and career services offices. Doan joined Ohio Wesleyan in 2012 as a development officer for planned giving and became director of donor relations two years later. She holds a Bachelor of Arts degree in politics and government and psychology from OWU in 2003 and a Juris Doctor degree from Capital University Law School. She has been a licensed Ohio attorney since 2006. “I have experienced firsthand the transformational power of an Ohio Wesleyan education, and I’m grateful for the opportunity to serve my alma mater during this pivotal time in OWU’s history,” said Doan.